What is a Currency Option Bond? A currency option bond is a security that offers returns in multiple currencies. The holder of a currency option bond can choose the currency in which they would like to be paid. The feature extends to both the coupon payments and the principal paymentPrincipal PaymentA principal payment is a payment towards the total principal amount of a loan that is owed. In other words, a principal payment is a payment made on a loan that reduces the remaining loan amount due..
An American manufacturer issues a 5-year USD/GBP bond. Each bond is issued at $100 and is repaid $100 or £80. The annual coupon is $5 or £4. The currency option bond gives the bondholder the right to receive the principal and interest payments in either USD or GBP. The USD depreciates against the GBP from $1 = £0.80 to $1 = £0.75. An investor holding the 5% USD/GBP bond specified above would prefer to receive his interest payments in GBP. An investor would rather receive £4 (which is now worth $5.55) than $5. If the exchange rate remains unchanged until maturity, the investor would ask to be reimbursed £80 (worth $106.67). The USD appreciates against the GBP from $1 = £0.80 to $1 = £0.85. An investor holding the 5% USD/GBP bond specified above would prefer to receive his interest payments in USD. An investor would rather receive $5 than £4 (which is now worth $4.71). If this exchange rate remains unchanged until maturity, the investor would ask to be reimbursed $100. 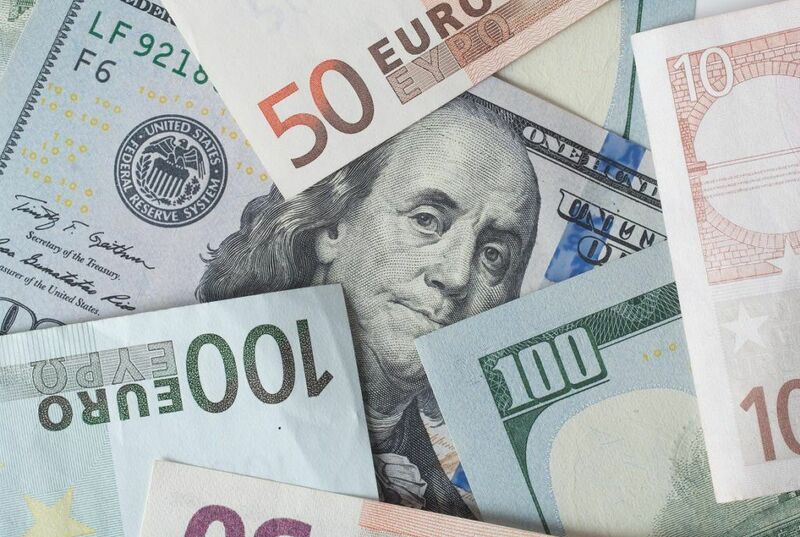 A currency option bond allows investors to hedge against exchange rate risk. To compensate for the reduced risk, the interest rateInterest RateAn interest rate refers to the amount charged by a lender to a borrower for any form of debt given, generally expressed as a percentage of the principal. The asset borrowed can be in the form of cash, large assets such as vehicle or building, or just consumer goods. on a currency option bond is always lower than the interest rate on any of the single currency bonds that make up the currency option bond. For example, the American manufacturer analyzed in the example above must be paying an interest rate greater than 5% on both its 5-year USD bond and its 5-year GBP bond. An investor sacrifices the higher return of a single currency bond but gains the ability to hedge against exchange rate risk. In practice, the currency option bonds available to retail investors come with short maturity durations (usually limited to a few months). The value of a 5-year 5% USD/GBP bond at $1 = £0.80 depends on the value of a straight 5-year 5% USD bond and the value of an option to swap a 5-year 5% GBP bond at a fixed exchange rate of $1 = £0.80. The value of a 5-year 5% USD/GBP bond at $1 = £0.80 is the sum of the value of a straight bond and the value of a currency option. An American manufacturer issues a 1-year 5% USD/GBP currency option bond at $1 = £0.80. The bond is sold for $100 and pays an interest of $5 or £4. The current exchange rate is $1 = £0.80. If the USD appreciates, an investor would prefer the principal to be reimbursed in USD, and if the USD depreciates, an investor would prefer the principal to be reimbursed in GBP. A 1-year USD bond provides a return of 8% and a 1-year GBP bond gives a return of 9%. A 1-year put USD at $1 = £0.80 is priced at $0.01. The currency option bond specified can be replicated by a straight 1-year USD bond redeemed at $100 with a 5% interest rate plus an option to exchange $105 for £84. Callable BondCallable BondA callable bond (redeemable bond) is a type of bond that provides the issuer of the bond with the right, but not the obligation, to redeem the bond before its maturity date. The callable bond is a bond with an embedded call option. These bonds generally come with certain restrictions on the call option. Forex Trading – How to Trade the Forex MarketForex Trading - How to Trade the Forex MarketForex trading allows users to capitalize on appreciation and depreciation of different currencies. Forex trading involves buying and selling currency pairs based on each currency's relative value to the other currency that makes up the pair.